Moscow, November 13, Interfax – The majority of Russian citizens admit that the Orthodox Church plays a significant role in the history of the country and believe that the church should exert an influence on the moral life of society without interfering in politics and public administration, a public opinion poll conducted by the All-Russia Public Opinion Research Center (VTsIOM) shows. The poll was conducted in 130 populated areas of 42 regions, territories, and republics of Russia on October 26-27. It surveys 1,600 respondents. Forty-six percent of the respondents believe Russia has a state religion and 44% believe this religion is Russian Orthodox Christianity. One percent of the respondents believe this religion is Islam and another one percent believe it is Catholicism. The majority of Russians (56%) believe the Orthodox Church played a significant role in the history of Russia and believe it had a determining influence on the country’s development at pivotal moments in history. Twenty-eight percent of the respondents surveyed disagree with that opinion. 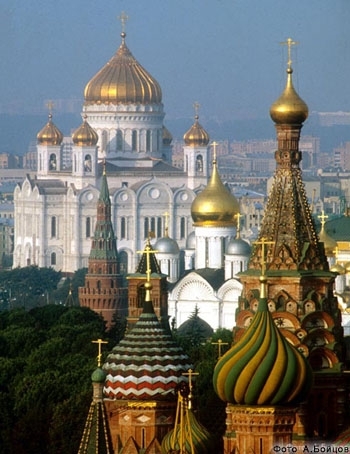 The respondents said that they recognize the influence of the Orthodox Church on Russia’s development, and 47% said they believe it was in most cases a positive driving force, whereas nine percent said they believe the Orthodox Church hampered Russia’s development. Thirty percent of the respondents said they believe the Orthodox Church did not have any influence on the development of the state. Many respondents believe the Russian Orthodox Church has a considerable influence on the spiritual and moral state of society (64% of the respondents said they notice such an influence, whereas 46% of the respondents find this influence to be insignificant. The second areas influenced by the Orthodox Church the most is people’s everyday life: 17% of the respondents said they believe the church has considerable influence on it, while 39% believe its influence is insignificant (a year ago, the percentage of respondents was 14% and 35%, respectively). The respondents also believe that the Russian Orthodox Church exerts an influence on ethnic relations (15% believe this influence is considerable and 37% find it to be insignificant). The respondents believe the Russian Orthodox Church has a lesser degree of influence on domestic policy (11% of the respondents find this influence to be strong and 35% find it insignificant), foreign policy (10% and 32%, respectively), and education (9% and 31%, respectively). The majority of the respondents believe that the church should have an influence on the moral state of society, but should not interfere in politics or public administration. The percentage of respondents who believe that increases every year, having increased from 43% in 2009 to 50% in 2013, the poll shows. Thirty percent of the respondents believe that the influence of the Russian Orthodox Church should be limited to religious affairs, while 15% believe that it should be actively involved in discussing and solving problems faced by modern society and the state. The majority of the respondents surveyed (64%) said the religious affiliation of the president is important to them. Forty percent believe that it is unacceptable for Russia to have a president whose religion is something other than that of Russian Orthodox Christianity.